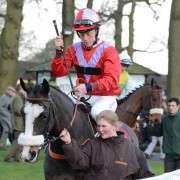 Leighton Aspell was born in 1976 and is a national hunt jockey who has previously ridden in six Grand Nationals and will partner Pineau De Re for Dr Richard Newland on April 5th 2014 in the hopes of winning on his seventh attempt. 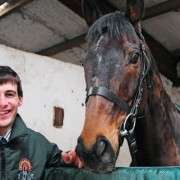 He learnt the ropes from his father, Patrick Aspell before becoming an apprentice to Reg Hollinshead. 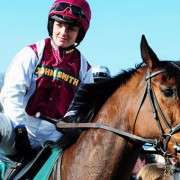 He later moved to Sussex to join Josh Gifford at Findon and soon became an established jockey getting many rides for top trainers such as Lucy Wadhan, Oliver Sherwood, Pat Murphy and Nick Gifford. 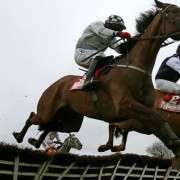 In 2007, and at just 31 years of age, he decided to cut his losses and retire from horse racing and in this time found work at John Dunlop's Castle Stables in Arundel where he spent 18 month learning to become a trainer. He soon changed his mind saying “I'm grateful to Mr Dunlop. I worked at a great place with a great man and learned a lot, I enjoyed it, and see myself training one day. But I want to ride for as long as I am wanted and am able to”. 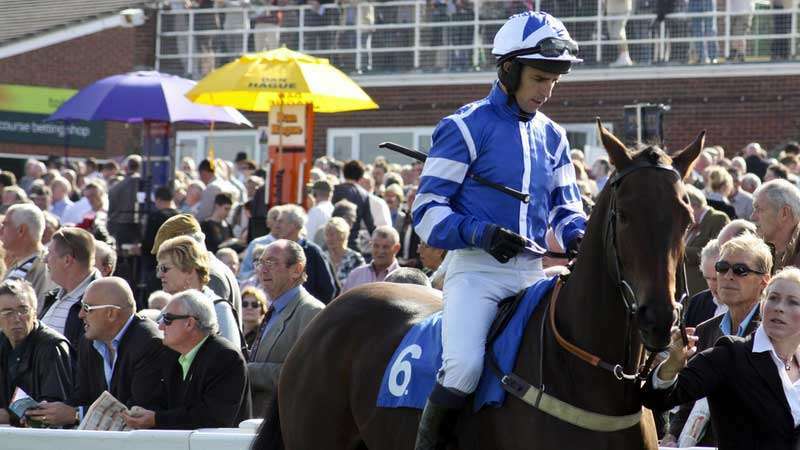 He returned to racing in 2009, much to the delight of trainers and his fans alike. 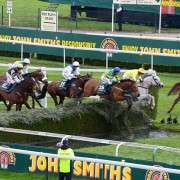 He rode In Compliance for Dessie Hughes in the 2011 Grand National and this season has already notched 59 winners from 376 runs which is a fantastic 16% win rate and if you include over 140 places that means he has earned in excess of £582K for connections.